***COMING SOON! 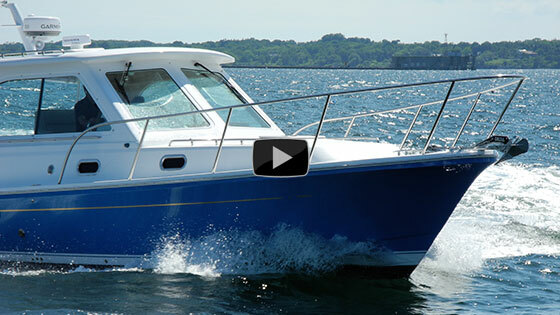 ***The Harrier 26 is a sporty runabout with timeless classic style. 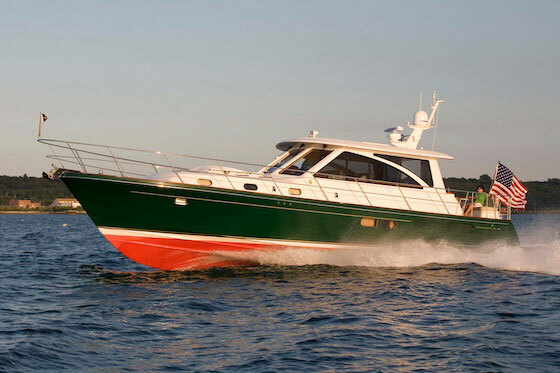 A versatile seating plan can handle a crowd of ten and the spacious cockpit includes an on-deck wet bar with fridge and award-winning ergonomic helm. The cabin has a generous bunk for naps and overnights, a marine toilet and makes a convenient changing room after a swim. 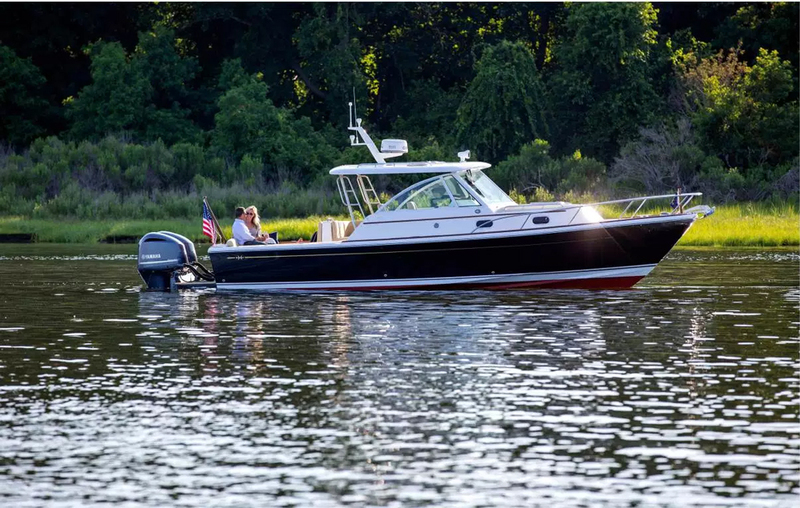 Equally at home in Nantucket or Naples, the Harrier’s vintage styling and teak detailing turns heads while the high performing Hunt Deep-V hull turns on a dime. T-op Speed (std pwr) 41 kts. 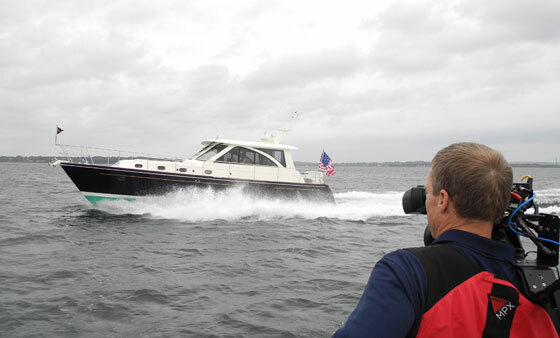 -Safety gear: (4) Type II PFD lifejackets in bag; (1) fire extinguisher; (1) hand-held canister airhorn; (1) throwable floating device (square cushion); (2) plastic whistles; (4) hand-held flares; flashlight with batteries; basic first-aid kit; spare fuse kit. 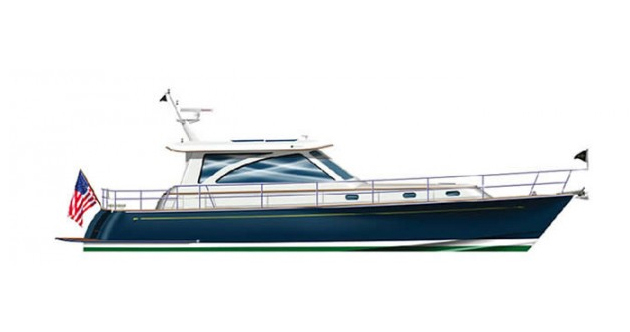 Single Evinrude G2-300hp engine w/ controls, gauges, SS props, power assist steering & composite teak on platform. 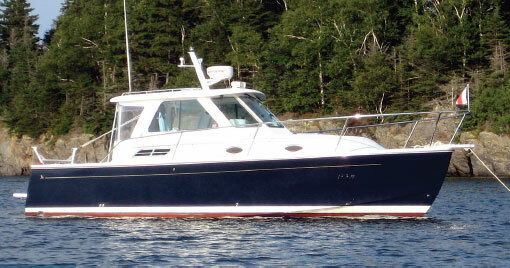 Windlass - Lewmar V-700 with anchor roller & extra cleat/ deck and helm control. S.S. bow rail, low profile 11"
Teak bridge deck table (varnished) with padded Stamoid cover & storage bag for table pedestal.